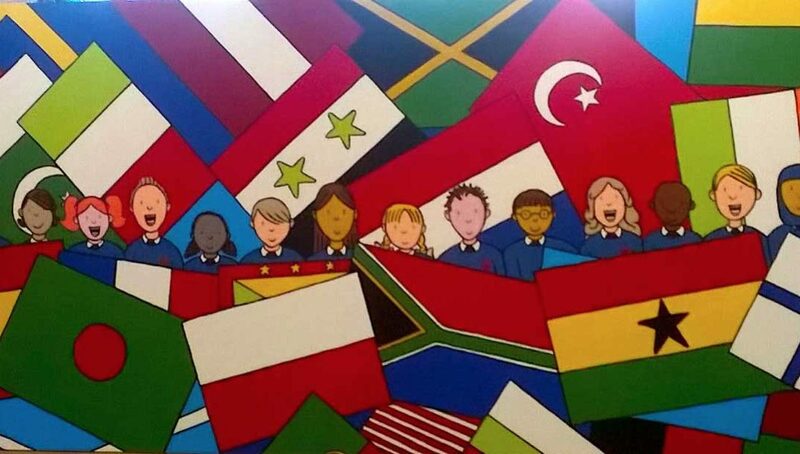 I have just completed 15 of these huge, colourful subject boards for a fantastic School in Bedford. Designed to be ‘transportable’ (although they’re 2.4m by 1.2m! ), these boards can be placed anywhere in the school for anyone to enjoy them! The background for the majority of the boards are painted the same colour as the walls, so they look like they are growing organically from the walls, giving a real ‘3D’ effect!